A racetrack on the roof... For cars, real cars.. 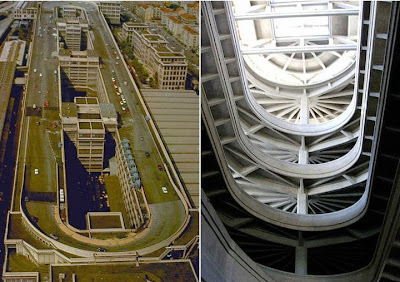 This is the old 5 story Lingotto building in Lingotto, Turin, Italy. At one time, when owned by Fiat, it was the world's largest car factory. and ready to be raced around the test track on top of the factory.